I’ve always been a night owl. I also got used to sleeping very little in my university years, because it was something we used to brag about… (Don’t ask… seriously, I don’t know why). It wasn’t until years later when I started realizing the impact it had on my body, my gut, my memory, my focus, and even my demeanor. Now I know better, and although I don’t get 8 hours on a daily basis, I still sleep well and wake up rested, most days! One of my favorite things that changed my waking up time was a sunshine-simulating clock… What a difference that makes! So now, I want to share with you what I’ve learned along the way as I’ve researched this topic over time. I have also collected over 30 evidence-based tips and put them all together in one document for you – enter you email at the end of this blog to get a your freebie downloadable. You can print it off and have as a reference document to help you put a plan in place to improve your sleeping habits & sleep health. Establish a regular time to sleep and wake up consistently on a daily basis. This helps your body keep you in check at those times and then your hormones will normalize too. Weighted blankets are blankets that are weighted to be 7-12% of your body weight. They relax your nevous system by stimulating the feeling of being hugged. Weighted blankets can help you fall asleep faster and have a deeper sleep. Try the 4-7-8 breathing technique to calm your mind and body. First, exhale completely through your mouth making a whooshing sound. Next, close your lips, inhaling through your nose for a count of four. Then, hold your breath for seven seconds. Lastly, part your lips and exhale from your mouth for eight seconds. Repeat until desired. By eating bigger meals for breakfast and lunch and enjoying a lighter meal for dinner may be better for your sleep health. Heavy meals in the evening make it harder to fall asleep and may result in more uncomfortable feelings like acid reflux and indigestion. Read, stretch, take a hot bath, or journal… whatever it is that you can do to get your body and your brain on board and let them know it’s time to calm down and turn it in for the day. This is not just it! 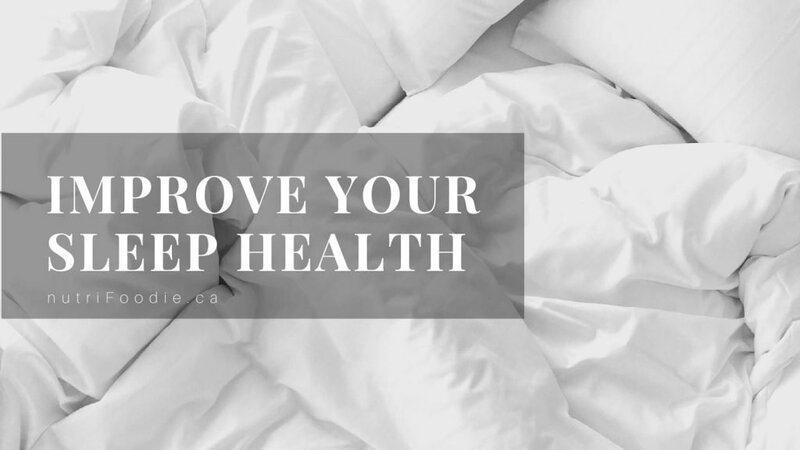 I have over 30 evidence-based tips all put together in one document for you – Enter you email below to get a FREE cheat sheet on sleep health delivered straight to your inbox! In next weeks blog, we will be exploring how to Manage your Stress & Improve your Self-care Practices . 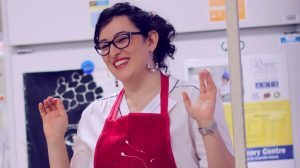 This blog was written with the help of dietetics student, Celine.